ThePrimeHost, number 25 of 25 for Webhostingstuff.com’s May 2010 list and the finale host to review from this list. At this time they are no longer in the top 25 list. The design of the site is fairly modern, but it seems cluttered. There are too many graphics grabbing my attention. 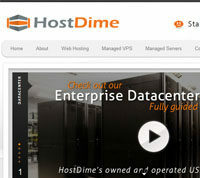 What sticks out at first glance of their site is “Now hosting over 15,000 websites since 2001”. That in my opinion is an honest statement. But it leaves a lot of details out. Is that total from 2001 to today, or is it current amount hosted? 15,000 websites is not 15,000 customers. 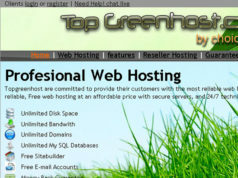 They after all offer reseller hosting. Meaning they could have customers that have 1 or far more websites. Ultimately the number of sites hosted is irrelevant compared to the number of customers. Looking through the site I find a lot of quirks. There are lot of parts of the site that would make my business partner (the one in charge of every bit of sales text be it email or web sites) cringe. The order form is drawn out through several pages, I often wonder if too many pages can detour someone from signing up for service. Then any search engine results I find have lots of positive reviews, yet there are people out there that claim that the reviews are fake. Then there is an affiliate program thats disabled. 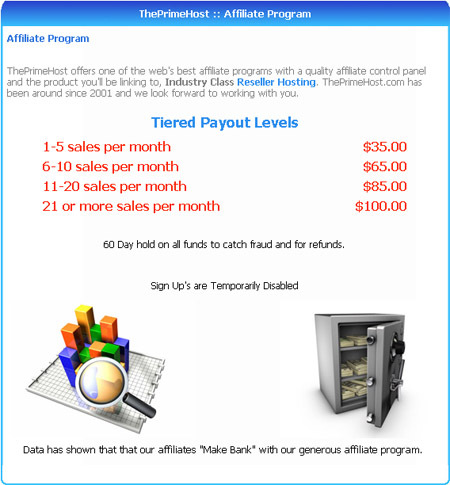 The affiliate system is very similar to those of hostgator, ipage, fatcow, bluehost, and others of its like where there is high payouts. But for some reason they are stuck at 11,000 sites. I find it odd that they are so far behind when they are older then many of those hosts that use this insane concept. It works for these large scale “unlimited” hosts because they have ways of getting out of payments, and not everyone finds a host through their affiliates. But it drives affiliates to promote the site for what in the end will be a big payout. Not to mention the more pages that mention your url the better it works for a sites search engine results. 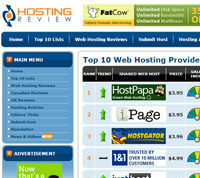 The essential problem with the hosting review industry is that people are promoting the high payouts as the best host regardless if they are not the best. I tend to think that its no coincidence that they are no longer on Webhostingstuff’s top 25, while ThePrimeHost’s affiliate sign ups have been disabled. In regards to the term “Make Bank”, I think the urban dictionaries second defintion works out for this. to extract as much money as possiable from a player at the poker table. I slow played the nut flush cause I knew I would make bank on the river. I can tell you that it takes more then one month to make Google Ads payout. The one thing I notice is there is only one website listed- mdpillstore.com, and the domain is expired. Then there is a anonymous review. I had one company where we asked for reviews, we required a first name and their website. The encouragement was that they could get traffic from our site (afterwards the reviews came flying in). 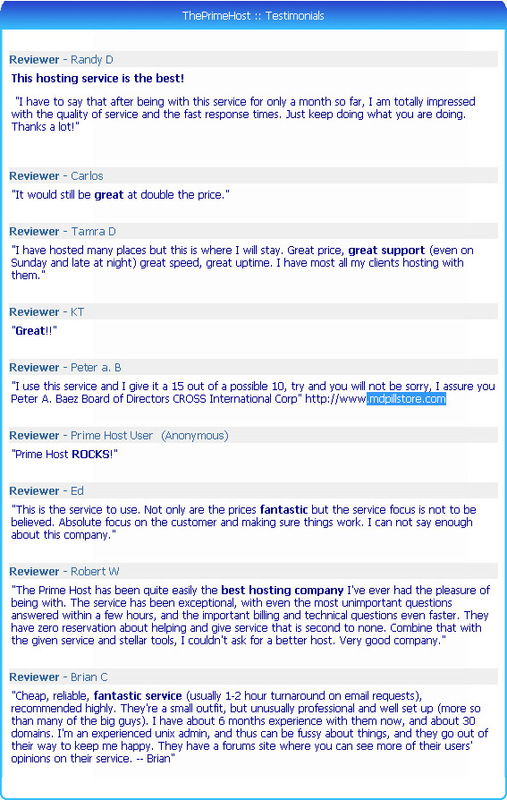 The lack of websites from the reviews has me wondering if the people claiming “the postive ThePrimeHost reviews are false” may very well be right. This is another host that while having some years in their belt, they haven’t quite figured out how to get their word out there. They try one month of Google Adwords, and then stop. 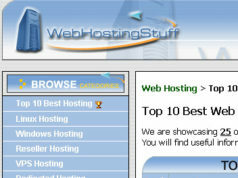 They try webhostingstuff.com, despite the growing public knowledge that this review site is a scam, and quit. They try what their bigger competitors do unethically and then suspend access to their affiliate program. 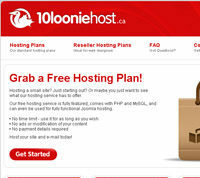 11,000 sites is not a lot, especially since they are running a reseller program. While ThePrimeHost has been around a while they have not learned a sure fire method for bringing in and keeping customers. 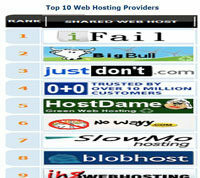 Previous articleNetmar, Is Netmar.com ready to take care of your future hosting needs? Next articleI7NET, I7net.net is going going……. Gone!!!! 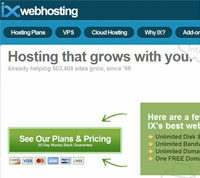 Ixwebhosting.com – How legit are those video testimonials?